I had been venturing around my own neighborhood and found many neighborhood gems to visit! 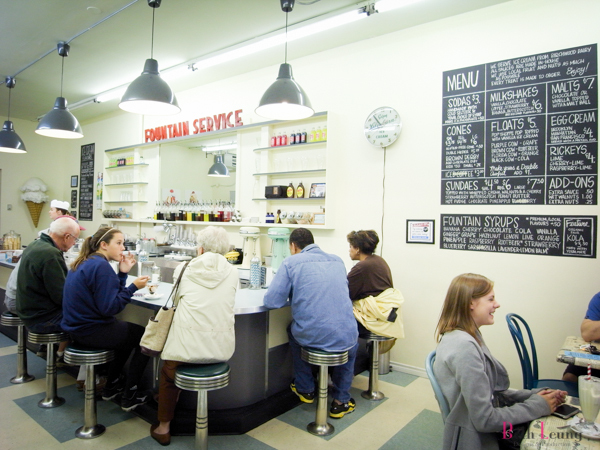 This little soda fountain and ice cream store is a sweet sweet memory from the past. The moment you enter, you will instantly think of the song “Milkshake”. 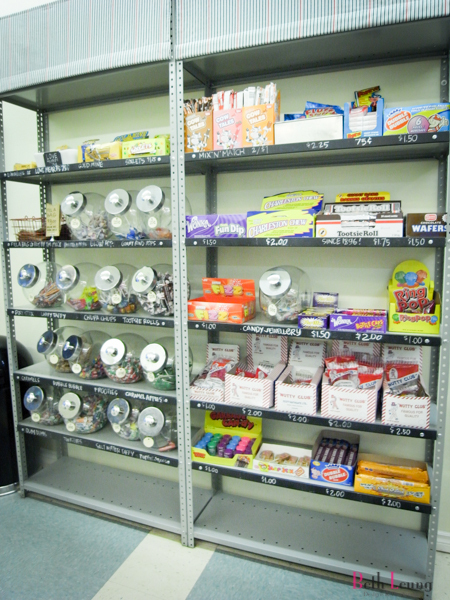 Giant ice cream cone display with shelves filled with retro candies from the 80s. They specialize in fountain soda (which you can pick and choose your flavours just like the old days). They have daily feature flavours and all classic ones to choose from. 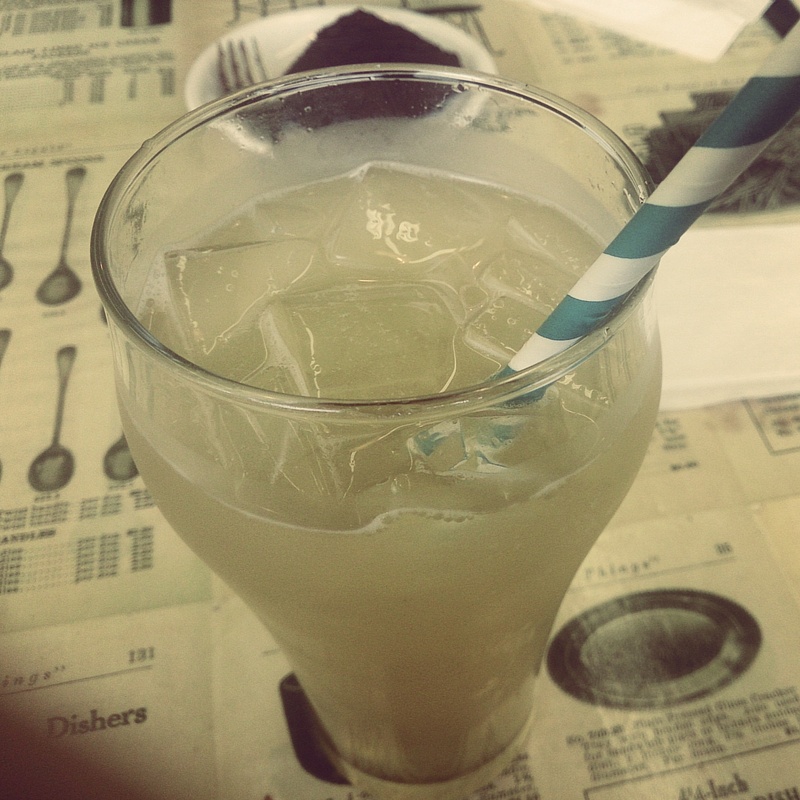 I had a lavender lemon soda, which I really enjoyed. Light lavender aroma with a kick of citrus and lots of frizz! :3 Reminds me of childhood. 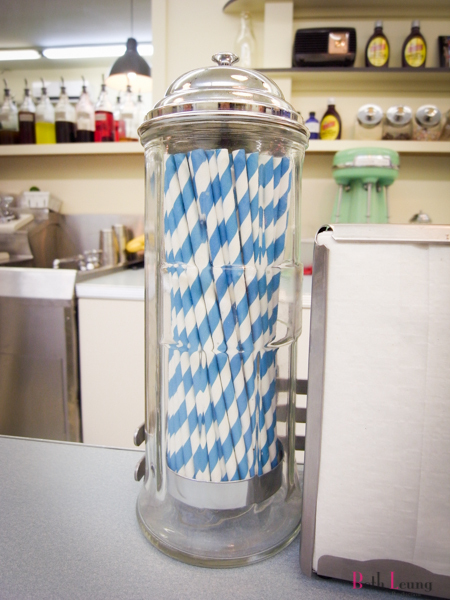 They also offer local ice cream from Birchwood Dairy and many different types of ice cream treats such as float, egg cream, sundaes, malts and of course milkshake. 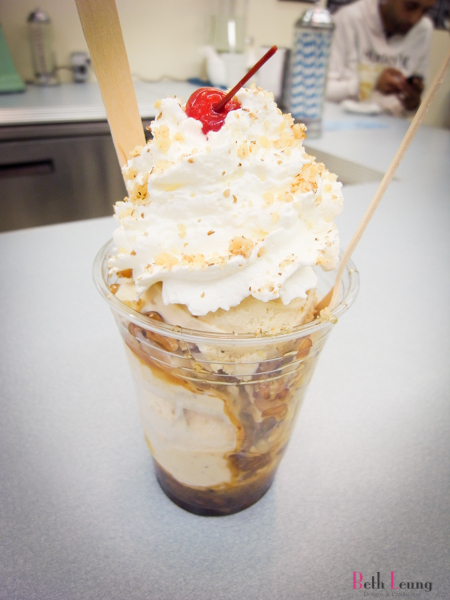 This delicious maple pecan fudge sundae was perfect after dinner and satisfy that sweet tooth craving. Topped with lots of whipping cream! 😀 Lots of flavours and texture and warm chocolate syrup at the bottom, oh so yummy. 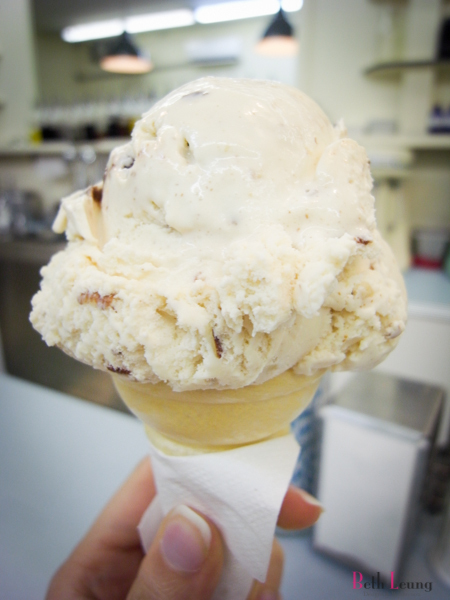 Then also got a salted caramel on a cone, their ice cream is very smooth and creamy. Very classic. This place is adorable, and great for an ice cream break on a hot summer day (days that we had been getting in Vancouver). I would say this is a heavy for many small children and big adults. Lots of fun and memories just sitting in this little shop.